Premium purchases are bought with ‘Battlefield Currency,’ which “can be used to acquire specific cosmetic items for your Company” – and only cosmetic items. But you won’t be able to make those purchases at launch, as the premium currency won’t be live at the start. Instead, real-money transactions will come some time afterwards. The full announcement says “our belief is that real-world money should not enable pay-to-win.” That might draw some cynicism from players, but given the PR disaster around Battlefront II – one that’s led to various forms of legislation and political interest worldwide – EA certainly wants to avoid any significant criticisms about its pricing strategy. Company Coins are the in-game currency, which you’ll use to pick up new skills, weapons, vehicles, upgrades, and cosmetics. You’ll also get new stuff from earning XP and ranking up across five categories: Career, Class, Weapon, Vehicle, and Chapter. Each of those ranks opens up new gameplay options, including weapons and vehicles, as well as cosmetic gear in each respective category. Your upgrade options among Classes, Weapons, and Vehicles are pretty self-explanatory, but Chapters may not be. That rank ties into the Tides of War system, which has you earning new options specific to each time-limited season of the game. According to multiplayer producer David Sirland, there “will be alternatives” to get gameplay-relevant items when a season is over, but there may be cosmetic items you can miss out on. 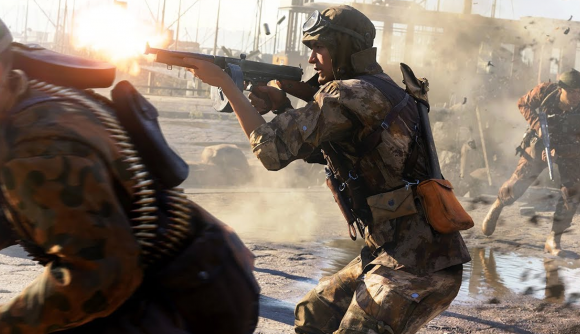 The Battlefield 5 release date is set for November 20. You can follow that link for more details on what to expect. There’s still plenty to find out, especially as it relates to progression and microtransactions, but today’s info should ease some of those concerns.